Polycarp is a talented tailor from Kisumu in Nyamza province, Western Kenya. He taught tailoring for several years before he decided to establish his own business. The quality of his work is excellent. Expanding Opportunities is pleased to be one of his first customers. 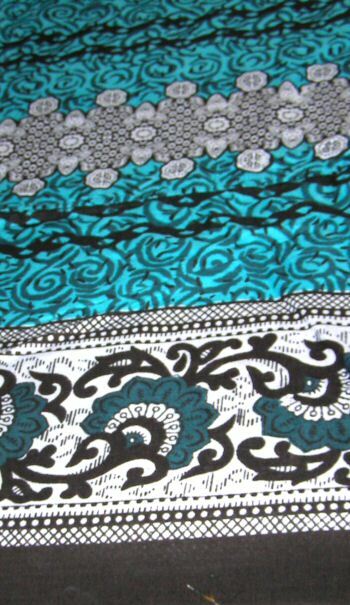 Cotton Head Scarf measures: Width 9.5″x 40″ long .